Just a few hours after Ethiopian Airlines warned of a "stigma" associated with the 737 Max that may make them choose not to take delivery of the planes they ordered, Boeing has released a statement after-hours that the company will slash production of the 737 plane from 52 to 42 airplanes per month. Bloomberg reports that Boeing plans to coordinate with customers and suppliers to blunt the financial impact of the slowdown, and for now it doesn’t plan to lay off workers from the 737 program. 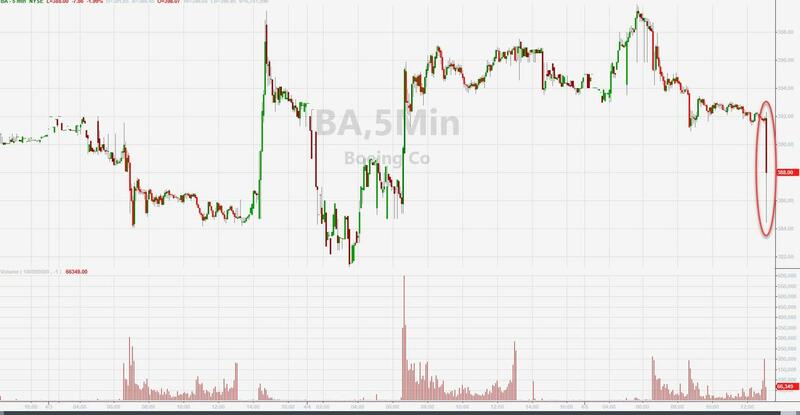 “When the Max returns to the skies, we’ve promised our airline customers and their passengers and crews that it will be as safe as any airplane ever to fly,” Boeing Chief Executive Officer Dennis Muilenburg said in a statement Friday after the market close. Boeing had planned to hike output of the 737, a workhorse for budget carriers, about 10 percent by midyear, to meet the backlogs. As Bloomberg notes, suppliers who provide the 600,000 parts needed for each plane had already started moving toward a 57-jet monthly pace under a carefully orchestrated schedule set in place long before the Lion Air and Ethiopian Airlines disasters, and those suppliers are also fading in the after market. 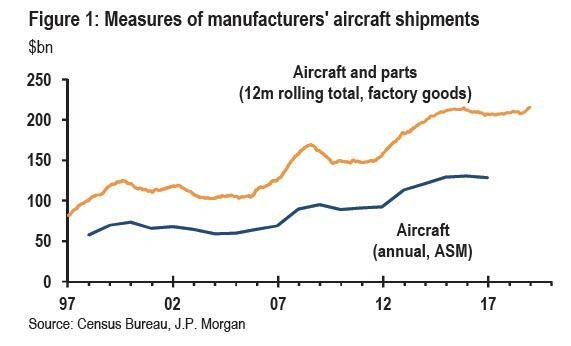 The bigger question, as we previously detailed, is what effect a 20% cut to Boeing's production will have on US GDP in Q2? 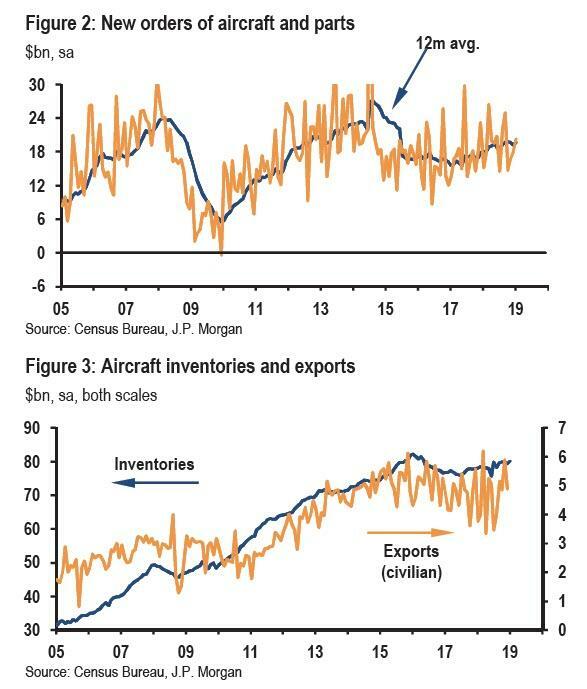 ...a recessionary catalyst may be the fiasco involving the Boeing 737 MAX, which according to JPM economist Michael Feroli, could begin impacting the economic dataflow. 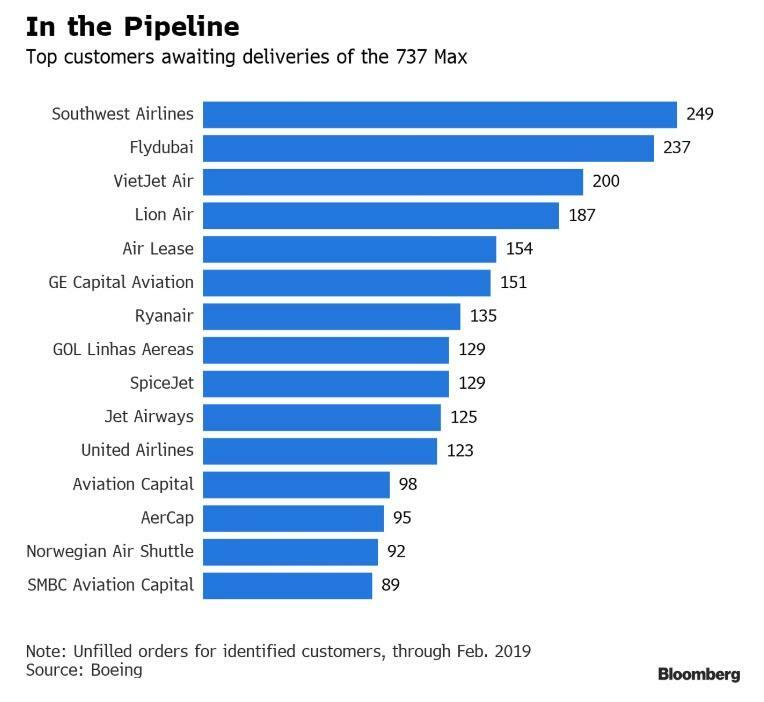 According to the biggest US bank, the issues affecting the 737 MAX should have no short-run impact on GDP, as production of this airplane is continuing, but will affect the composition of GDP, implying more growth in inventories and less growth of business investment and gross exports.